Coach Kliff Kingsbury joins Lisa Matthews and Paul Calvisi for the debut of his Kingsbury Chronicle Podcast. This week, the game plan includes his conversations with Larry Fitzgerald, 4 a.m. film sessions, plans for David Johnson, Super Bowl reactions and how he ended up on stage at the Waste Management Phoenix Open. Just over a week away from the NFL Draft, head coach Kliff Kingsbury joins Paul Calvisi and Lisa Matthews to talk about the months of preparation that have taken place. Plus, Kingsbury discusses his relationship with QB Josh Rosen and gives an update on the installation of the offensive playbook. Kliff Kingsbury joins Paul Calvisi and Lisa Matthews to talk about draft prep, March Madness and getting pranked by Rams head coach Sean McVay. Plus, you won’t want to miss Kliff’s impersonation of Raiders head coach Jon Gruden. Kliff Kingsbury joins Paul Calvisi and Lisa Matthews to talk about the moves made in free agency, interviewing players at the scouting combine, his first job as a teenager and more. 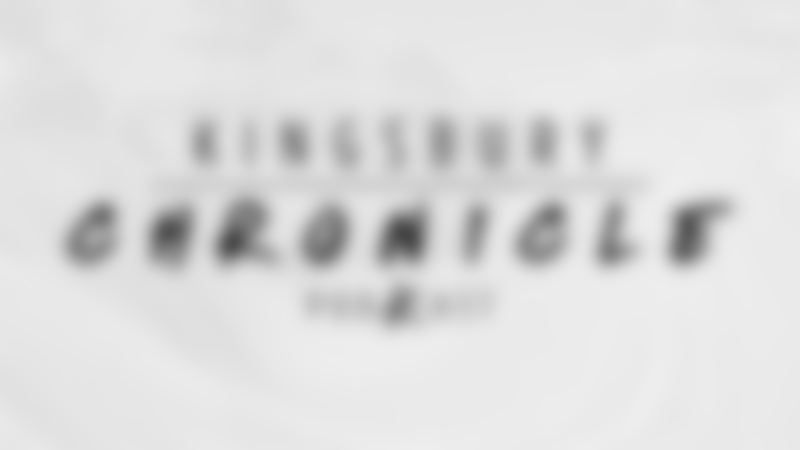 Kingsbury Chronicle - Combine Fact Or Fiction? Kliff Kingsbury joins Paul Calvisi and Lisa Matthews to talk about his first combine as a head coach, rumors surrounding quarterbacks Josh Rosen and Kyler Murray, and much more. Coach Kliff Kingsbury joins Paul Calvisi and Lisa Matthews to talk about the upcoming Scouting combine, tailoring the offense to fit his personnel and unicorns. Yes, unicorns.